Messing about with water in the woods - a perfect combination. 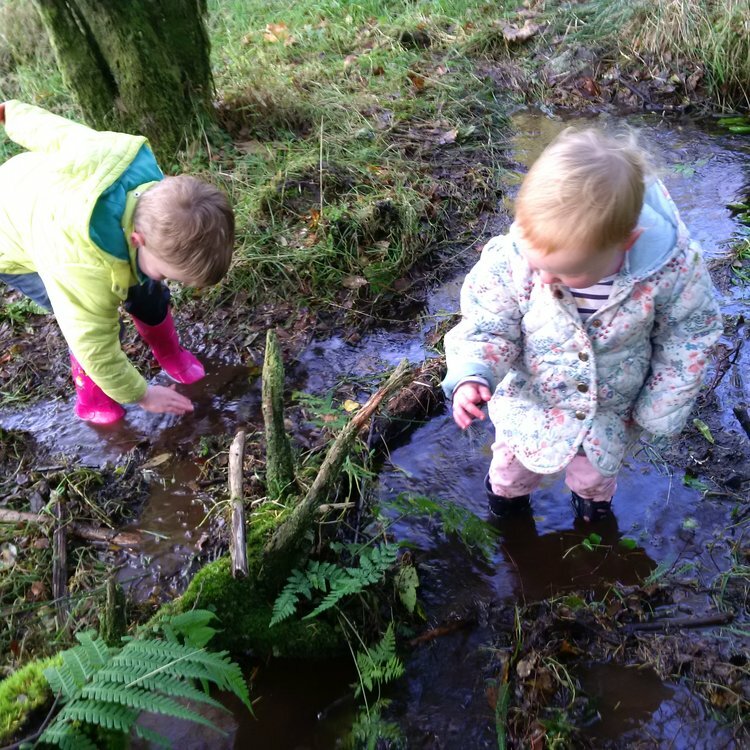 As a parent of two little children with BIG minds, it can be difficult to remember that adventures and explorations need to happen at the speed of our children and that while you may have conscious, or subconscious aims in mind, they do not. Too often I have found myself becoming frustrated when we have set out on a mini-adventure to see a certain thing (e.g. a waterfall) or reach a certain point (e.g. a lookout point) only to have it cut short for various reasons and we never reach said waterfall/viewpoint etc. Why do I get frustrated? Firstly, I’m only human. As adults, more often than not when we set off on an adventure, however big or small, we have a destination in mind. This may be traversing a country from tip to toe, or may just be walking up to a certain spot that you want to share with your children. However, small children can quickly become cold, tired or, if you let them, bored. They may even start arguing between themselves, resulting in a whole lot of unnecessary upset and parental stress! Yes, exploring with wee ones is all about expecting the unexpected. This is why I have begun to try really hard to shift my adult-minded approach to mini-adventures to think of them as periods of time, rather than reaching a certain point or getting from A to B. Finding nooks and crannies to hide and explore are really what it's all about. When we head out for a woodland adventure, I’ll get the children packed up in their ‘zoot suits’ and welly boots, have some ‘snack’ in my bag (fruit to start with, then mini-chocolatey stuff to come later to keep up spirits as they tire) and usually set off with my objective in mind e.g. ‘we’re going to see the waterfall’. Note, I say my objective. As far as they’re concerned, we’re just going to play and explore in the woods. Every part of the woods, or an outdoor exploration is as exciting as the next, if you help them with imagination and games and stories etc. So, it matter little to them whether you’re trying to get to that waterfall, or reach a certain point, they just want to explore and play in their surroundings and this WILL take a long time. Walking at adult speed is not possible unless you want to a) impose an ‘adult-led’ adventure or b) want children who’ll quickly dislike the idea of having outdoor adventures if it means they’re getting dragged and schlepped about at adult speed. As long as you, the adult, is allowing the adventure to happen at their pace and are willing to turn back as soon as they’re cold/ tired/hungry (this can happen in the blink of an eye – no, seriously!) and to undertake portage of said children, then you’ve had a great adventure. Young children are interested in time in the outdoors, less-so about reaching certain points. That’s how we adults approach these things and, quite probably, is how we miss out on a lot of the details around us in the outdoors. To enjoy your adventures with young children, slow down, let go of your sense of objective and travel at child’s speed. Wander with them, daunder* with them and wonder with them. Trust me, you’ll all feel much happier. * Scots: To stroll, to saunter, to walk aimlessly, idly, or uncertainly, to wander. Ryan is this blog's Family Adventure Editor. Ask him questions or suggest future article topics in the comments below. 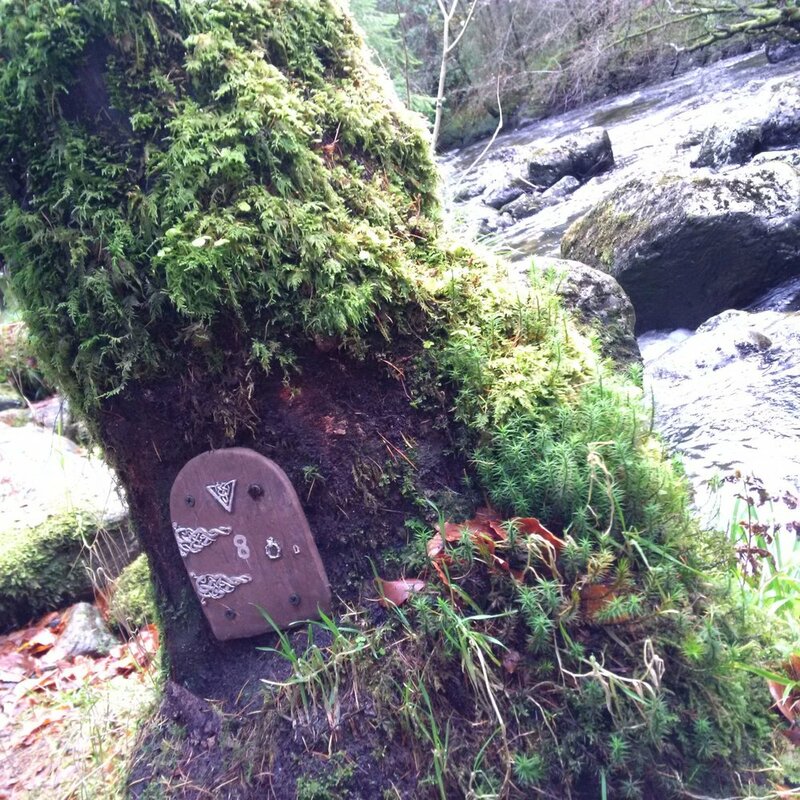 This fairy door which prompted a lot of imagination play, but would have been missed if we were going at adult speed.